This is a guest post by Men’s Aesthetic, a great site worth checking out for more articles like this one! Leather gloves aren’t usually the first thing that comes to mind when you ask a man to think of a stylish item of clothing, but nevertheless maybe they should be. Here’s a guide to the menswear you’ll use to keep your hands warm in the colder months, and why a good pair is worth the money. Daywear gloves: By far the most common variant, this glove is the standard amongst dress gloves having the sole focus of being both functional and stylish. Often made of high-quality leathers, these are thin, snug-fit gloves worn by men to coincide with business, formal, and smart casual attire worn during the day. Depending on the lining inside, these gloves will keep your hands nice and warm in temperatures well below freezing. They have no holes or flaps, just several carefully cut segments of leather beautifully stitched together. Racing gloves: The practicality of this design is disputed, and understandably so due to the large holes that run across the knuckle area crushing any idea of significant insulation. This perspective, though, is out of sync with their intended function as racing gloves since they were purely created to improve the feel of the driving experience and holding a car’s steering wheel, not to be worn out in the world. The design creates a softer and more refined feel on the wheel, which is only improved by the fact that they make the driver appear quite cool. Despite some people seeing them as pointless, they absolutely have their place, linking back to the history and origin of car racing. Evening gloves: This variation of the glove is relatively rare to see in contemporary times, primarily due to the pure age of the tradition and the decline in white tie events in today's society. Nevertheless, these unlined white gloves still have their place at the most prestigious events where only the most formal dress code is appropriate. 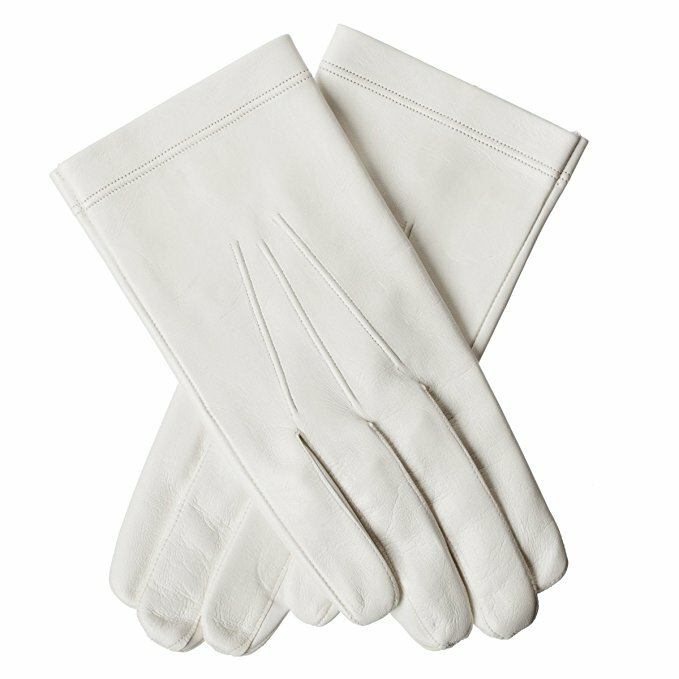 Evening gloves do come in many materials varying from linen to silk, but the highest quality ones will be made from Nappa Leather or Kidskin, both very thin and soft leathers which are able to create the finest fit to accompany the rest of your attire. If unlined, the entire outer of the glove needs to be soft, stretchy, durable and insulating for the glove to fulfill its function properly. Hence, leather is the best choice and so that’s what’s used, though the range of leathers that can be used is astounding, some more suited to the job than others. Here’s the main few that you’ll find and the pros and cons of each. Cowhide leather: This material is relatively cheap, lacks stretch, and has a suppleness that can very immensely. As a result, this material is usually used in gloves at the lower end of the price spectrum. However, they’re very durable and the low price means they’re perfect for someone with a low budget or someone who wants something quick and convenient. Additionally, this is the choice we’d recommend for those that regularly lose their gloves... you know who you are. 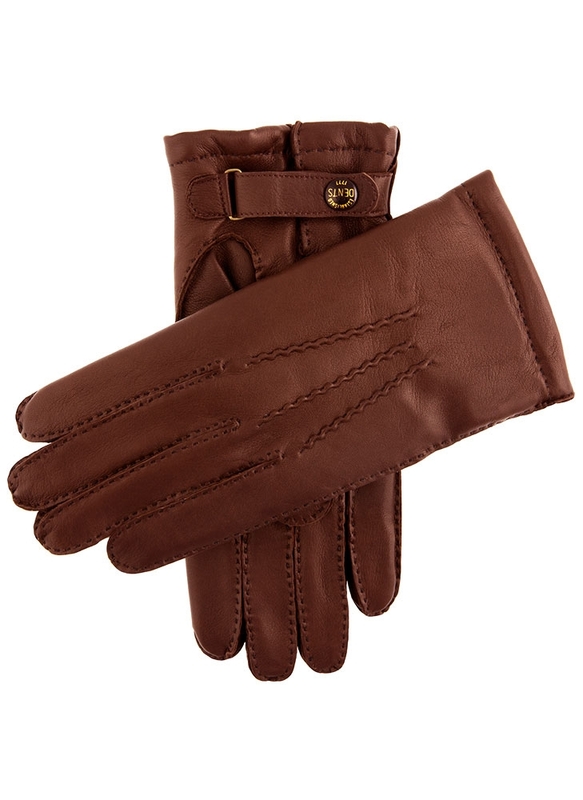 Lamb Nappa: This is a very supple and flexible leather ideal for dress gloves. Though this comes at a cost, as its salubriousness and desirability have lead to this material usually being seen in gloves that sit in the upper quartile of the price range. The cost in our opinion is worth it as it’s one of the finest glove leathers available, further developing a unique patina and characteristic creases over time. Hair sheep leather: Finer than most other leathers, this material is quite comparable to lamb nappa being only slightly thicker; this is usually rather unnoticeable and is greatly outweighed by it’s rather impressive resistance to wear. This leather is used in both mid-tier and high-tier gloves, the higher-tier options using progressively finer and more desirable hides. Peccary: Peccary leather is the superlative glove leather, a quality reflected in its price. It’s the best all-rounder, pulling together incredible suppleness and flexibility while also being durable enough to last you 20 years. This is the glove for someone who lives for quality and is willing to spend a lot for a item that’ll pay dividends down the line. This is the lining on the inside of the glove, and the material that will be felt against your hand when worn. Cashmere: Commonly associated with luxury and fineness, cashmere wool is a fantastic choice for glove linings and can be seen in a whole variety of high priced gloves. Cashmere linings can be quite thin which sacrifice warmths, but at the same time it’s a great insulating fabric. It’s softness and texture make it a sound choice for any lining in a high quality glove. Wool: Less expensive than cashmere and one of the cheaper options, wool linings have a few pros and cons. They’re very warm, but quite thick which means it’s not the ideal choice for a dress glove as the fit won’t be as snug. Furthermore, while the texture can be comfortable, it doesn’t come close to the higher quality options. Fur: The peccary of linings, fur is the unparalleled king of glove linings. It’s warmth is incredible, and it’s thin enough to be effectively used in dress gloves. Then factor in its exceptionally luxurious and soft feel and you have a lining that will keep you warm on the coldest of days and make your hands feel like they’re wrapped in a cloud. 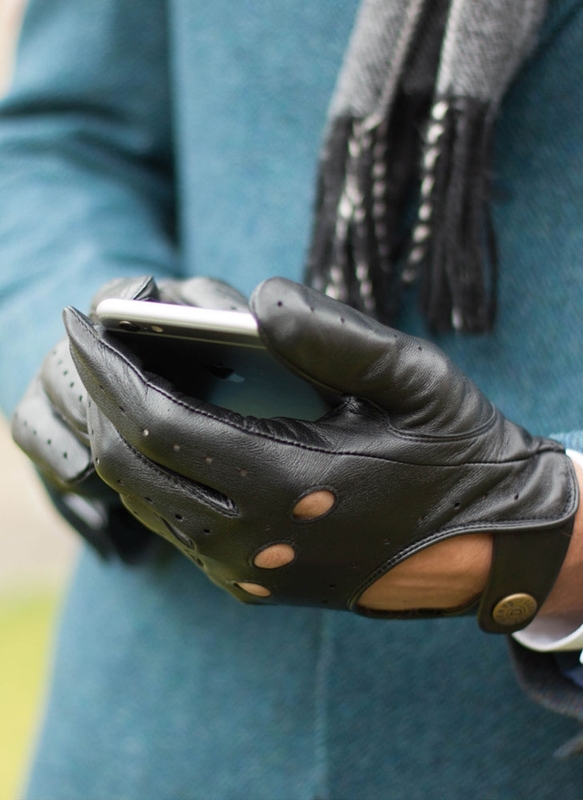 Gloves should inevitably play an active role in our wardrobe. They serve a practical function as well a being a very versatile accessory. If you live somewhere where at times the climate makes your hands numb and cold, we would highly recommend investing in at least one pair of leather dress gloves. It will certainly add something to your personal style that’ll keep you looking sophisticated and sharp in your everyday environment. Get the best you can for what you’re able to spend, but don’t be afraid to invest in the best materials as in the end they’re the ones that last the longest and feel the best.